Zach LaVine, pictured earlier this year, scored a career-high 41 points in Chicago’s double-overtime victory at New York on Monday. LaVine scored all eight of Chicago’s points in the second overtime of Monday night’s 116-115 victory over the New York Knicks at Madison Square Garden. He made the winning free throw with 0.2 seconds left. NEW YORK – Zach LaVine decided to take the game into his own hands and finally put an end to this double-overtime affair. 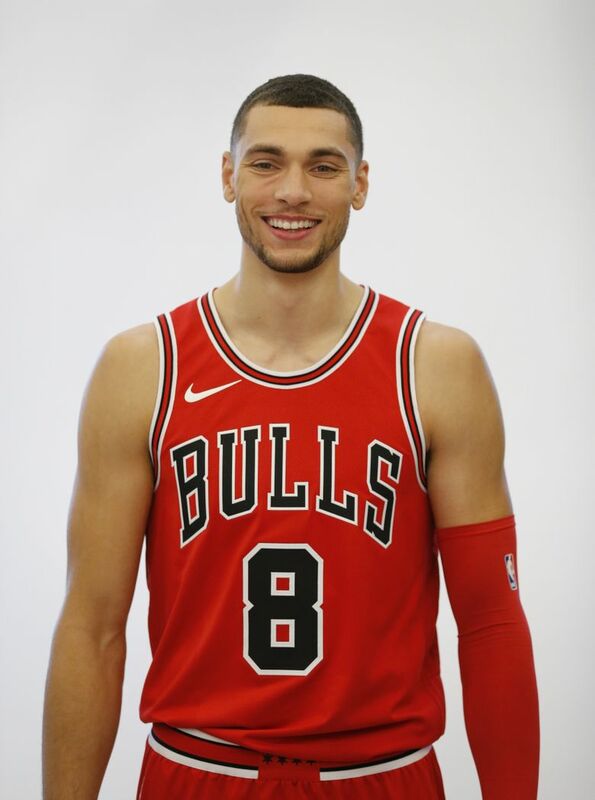 Scoring a career-high 41 points, including the winning free throw with 0.2 seconds left, Bothell High School graduate LaVine led the Chicago Bulls to a 116-115 victory over the New York Knicks on Monday night at Madison Square Garden. Enes Kanter led the Knicks with 23 points and 24 rebounds while Allonzo Trier — who grew up in Seattle — scored 21. Emmanuel Mudiay’s coast-to-coast layup had tied the score with 2.7 seconds left in the second overtime. But, his foul sent a driving LaVine to the line for the winning free throw. LaVine, who scored all eight of Chicago’s points in the second overtime, scored the final points of the first overtime with his fadeaway jumper with 1:13 remaining. Chicago had taken its biggest lead of the game, 59-49, on LaVine’s free throw with 7:28 remaining in the third quarter. The Knicks cut the deficit to two, 72-70, on Kanter’s short turnaround with 1:47 left in the third but still trailed 78-72 after three. With the score tied at 93 in the fourth quarter, LaVine made three consecutive three-pointers for the Bulls, but Trier sank a pair of free throws and then a three-pointer with 48 seconds left to tie the score at 102.